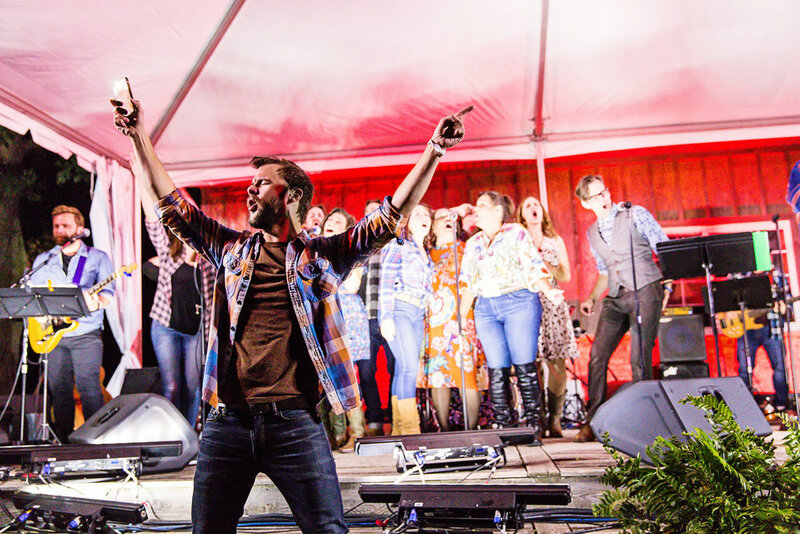 In 2018, Arranmore had over 15,000+ attendees, attracting an eclectic and sophisticated fan base. Our core belief is that positive encounters cultivate lasting relationships. Offer your clients an experience they will remember forever. Present your brand and connect with your target market in a beautiful setting where relationships are created in a lasting, impactful way. One of the most exciting things about partnering with Arranmore is the ability to actively collaborate when building sponsorship packages. We take into consideration personal interests in particular events, as well as the setting in which a brand can best utilize our space for results. Our goal is to maximize the experience as a sponsor and be sure your brand is speaking to our audience with a unique voice. In partnership with 360 Studios Naperville, Arranmore hosted our first Sunset Yoga in 2017. Over 200 yogis centered themselves in nature, by a setting sun, and then enjoyed complimentary wine and cheese. In 2019, Arranmore will host 4 Sunset Yoga sessions. A great opportunity to put your brand in front of like-minded clientele. Namaste. Polo has become a fan favorite at Arranmore. From our casual, tailgating BYOB Wine Down Wednesday, to our laid back luxury weekend games. 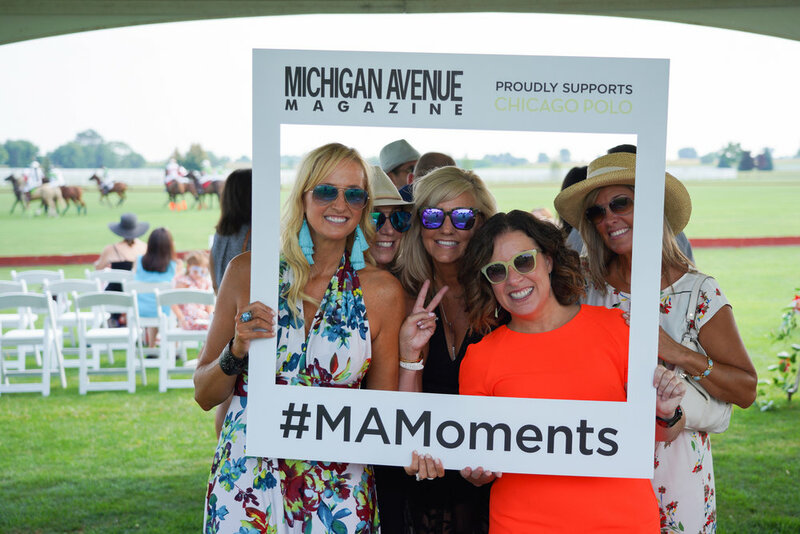 We will host 11 public games for the 2019 polo season, 2 Weekend Polo Events (one Saturday/one Sunday) and 9 Wine Down Wednesdays. Arranmore is a proud founding member of Chicago Polo. Chicago Polo collaborates with the United States Polo Association and other polo clubs from the Chicagoland area to bring spectators some of the most captivating sports in the world. Cabernet Cabaret, affectionately known as “CabCab”, is the event that started it all and continues to be our highly- anticipated signature event. This open-air concert is held on the pristine and expansive lawn of Arranmore Farm & Polo Club. You’ll be treated to an eclectic mix of music performed by our favorite hand-selected local stars, who have come together to form the one-of-a-kind cover band of your dreams! In 2019, Arranmore is going to shake it up by presenting additional music events. Stay Tuned. This stunning blank canvas transforms to accommodate unique one-of-a-kind festivals or large concerts. With on-site dressing rooms for talent in our recently renovated historic farmhouse to ample on-site parking. You can partner with Arranmore to showcase your exclusive brand in a private event or team up with our current partners for the opportunity to create an event that is cohesive between different platforms. Our coordinator will help you create the most eloquent, memorable event for you and your guests. For more information regarding partnerships + sponsorship opportunies, please contact us.